Jaan did his masters in Berlin Humboldt University and conducted his PhD-research in Max Planck Institute for Brain Research (under the supervision of Lucia Melloni and Wolf Singer). 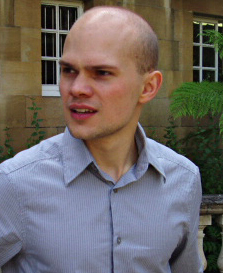 However, since 2007 Jaan has also been a part of our lab, doing research on several topics surrounding the key term “consciousness”: Jaan and Talis together published the first first published papers of the lab based on new advanced EEG/TMS equipment (Aru & Bachmann, 2009 in Brain Research and Neuroscience Letters). In 2009, Jaan and Talis also published an Estonian language book on attention and consciousness. In 2012 Jaan and Talis together with Lucia Melloni and Wolf Singer published a relatively well-noticed critique of the common way how consciousness is studied in Neuroscience and Biobehavioral Reviews. Jaan has also been involved in studying the state-dependent effects of TMS propagation and has been supervising younger students in our lab.